It's the holiday season again and we want to help you get ready for all the festivities. This is a time for great food, family, friends and one of the best parts, especially for kids, presents. That's where we come in to help. If you have an RVer in your life, check out all the parts, supplies and RV accessories, that are sure to make perfect holiday gift ideas. One idea that would make a great gift idea would be the RV Die Cast Collectibles. These are unique model replicas of recreational vehicles, that are perfect for any kid over the age of 3 all the way up to adults. They are highly detailed, making them look very identical to the vehicle they are replicating. 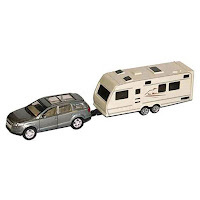 They come in many different models from motor home, travel trailer, fifth wheel trailer and motor home pulling a boat. There are a total of 7 models, collect them all or just the model that is similar to the one that you own. Perfect toys for kids to play with or collectibles for adults. Shopping RVupgrades.com for the holidays can make your life much easier. With the ability to shop online you get to avoid the holiday crowds and get everything you need for the RVer in your family. Still don't know what they would need or want, here's one more idea, we have Gift Cards, perfect for any purchase from our site. Have you ever thought to yourself, there must be an easier/cleaner way to empty your RV holding tank. Well we all know that this is a necessary job that must be done, but it doesn't have to be messy and disgusting while doing it. 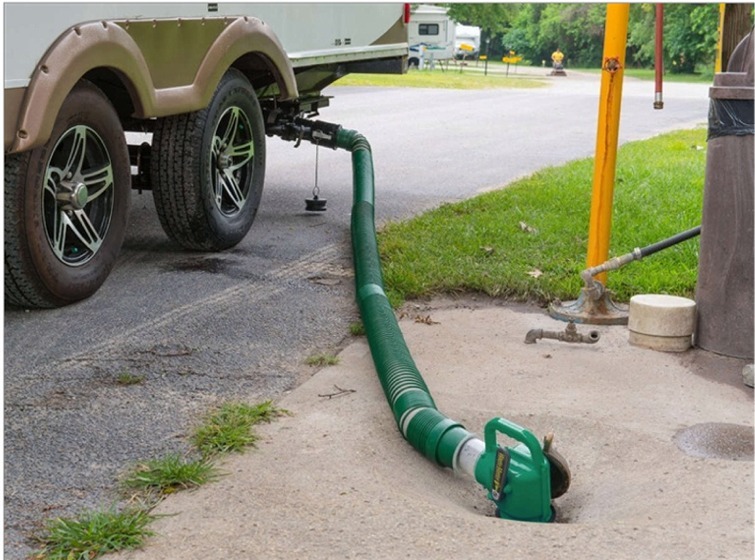 Check out the Waste Master RV Sewer Management System that will make this a much simpler process that you won't dread doing during your camping trip. What makes this sewer hose so special? Well have you ever had a hose that has sprung a leak or a fitting that became loose, then you really had a messy situation on your hands. This sewer hose is as some call it "bulletproof", it resists abrasions or punctures and has bonded cuffs to form a lock tight seal, so there is no chance that waste will drip out. The helical coils are perfectly designed on the outside, leaving the inside smooth, so you won't have to worry about the hose getting clogged and there is still plenty of room for expansion. It also comes with an industrial grade cam lock connector that will give you a leak resistant connection to your sewer outlet. This same design of fitting has been used for a long time in the liquid transportation industry including with fire hose fittings, proving these will have a strong and reliable seal. Last it also has a 90 degree nozzle that makes it easy to hook up and also with the shut off valve makes it so it won't empty until you are ready. Also if you are emptying and the ground sewer backs up you can quickly shut it off. The nozzle also has a clear port for viewing, this way you know exactly when you have fully emptied your holding tank. If you are tired of having to buy new sewer hoses all the time, shop RVupgrades.com for a Waste Master RV Sewer Management System today and you will never have to buy another hose again. Make this the last hose you ever purchase. Winter is right around the corner and for everyone that lives in a colder climate area, they know how important it is to properly store your vehicle through these bad weather months. In a previous article we discussed about what you needed to winterize your RV water system, that is very important too but after you do that and lock up the RV tight the next step would be to cover it up tightly to keep the weather from damaging your vehicle. That is why we have a protective cover to fit just about any type of RV or trailer you could possibly have. 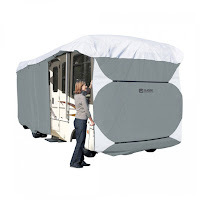 What can a cover do for your RV, trailer or camper? A cover does not have to be just for use in the winter time. 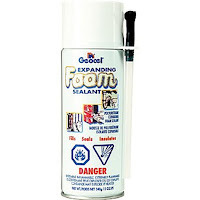 It is also important to use anytime you will not be using your home away from home for a long period of time. Not everyone goes camping or travels every single weekend, some people only go a few times out of the year. For all the time it is not in use a cover will protect it from pine needles, leaves, dust, dirt and much more debris, keeping it clean for the next time you travel. For winter time it will keep the snow from building up on the top and adding extra weight possibly damaging the roof. 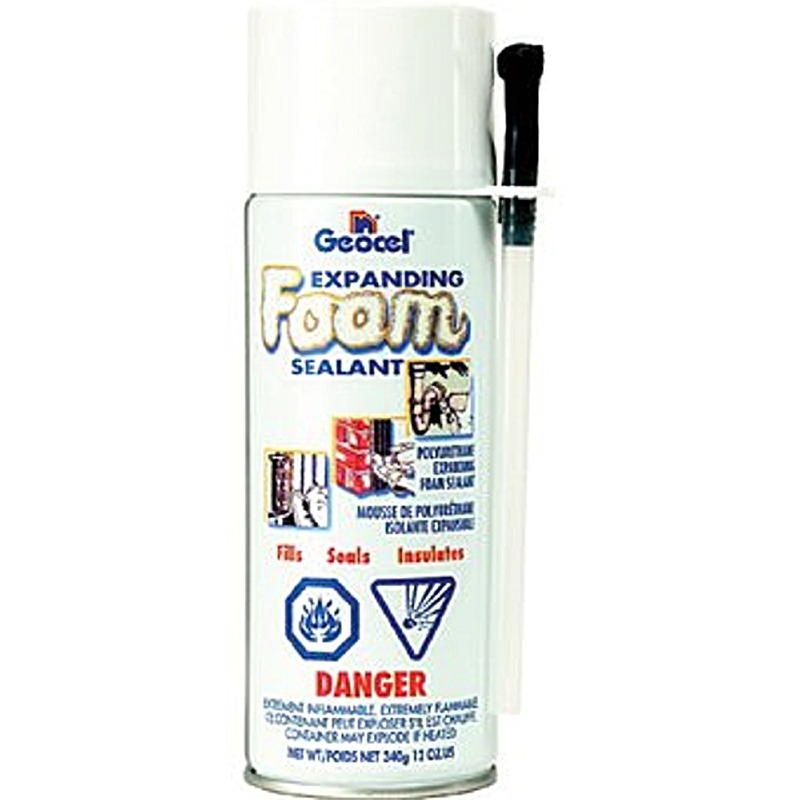 By keeping the snow off it will also prevent damage to the seams when the snow melts and possibly refreezes. Don't let damages to your RV from the environment and weather, cost you a fortune in repairs. There are a couple brands and many different kinds of models that we carry in our wide selection. The two popular brands are Adco and Classic Accessories. Within these brands are many different kinds of model fitments including Class A, Class B, Class C, 5th Wheels, Hi-Lo Trailer, Pop-up Trailer, Travel Trailer and Slide-In Camper. Then we have other covers for accessories including Propane Tanks, Windshields, Air Conditioners and Tires. To choose the perfect cover for your home away from home, you have to first look up the model you have. For instance if you have a Class A RV you want to look in that category and choose the one that will fit the length size of your vehicle. Then you need to decide what type of material you want it to be made out of. If you need one that is great for all seasons, check out the Adco Tyvek cover or for one that is for moderate weather conditions go with one of the single layer Adco brands or PermaPro. 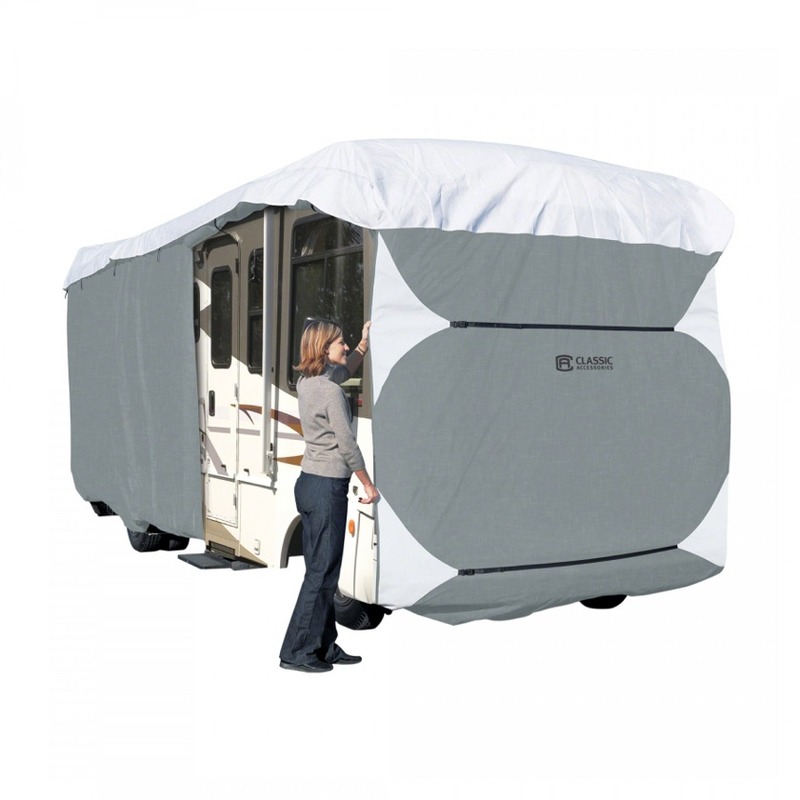 A RV cover is one of the many accessories you may need when winterizing or just protecting the exterior of your home on wheels, visit our site at RVupgrades.com to see all the accessories we have to offer.